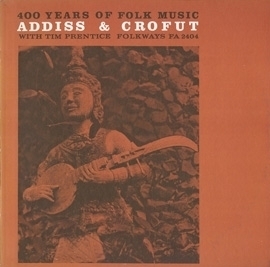 In the early 1960s, multi-instrumentalists Steve Addiss, Bill Crofut, and Tim Prentice traveled to China, Southeast Asia, and Africa as part of the State Department&apos;s Cultural Exchange Program. This recording features tunes and songs associated with their journey some from their own repertoire, and some learned from local musicians during their trip. Please note we ship all CD&apos;s in SEALED, CRACK FREE CASES. Handling time will be between 1 and 3 business days.